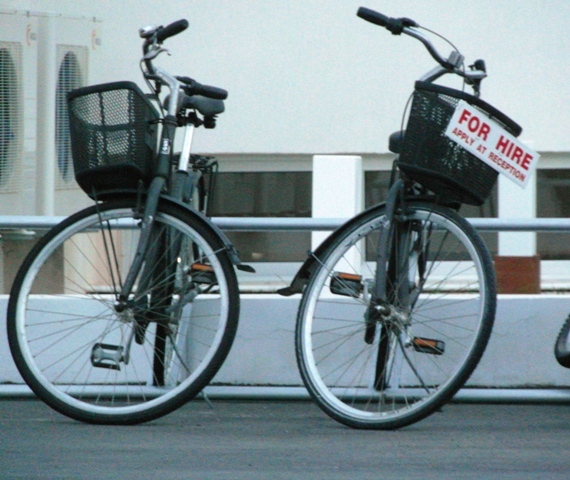 Many people find the easiest way to explore Ayia Napa and the surrounding area is to hire a bicycle. Bicycles can be hired from numerous shops all over the town and start from just a few Euro a day. Nissi Avenue which runs from the heart of Ayia Napa out along the coast westwards has a bicycle path along its length right from the town centre all the way to the turn for Liopetri River (aprox 5km). In places though this path is often also used by pedestrians, mopeds and other vehicles so care must be taken. Cycle paths also run along the coast road from Ayia Napa towards Protaras, taking in Cape Greco where the old road has been turned into a walking and cycling route. The main road out of Ayia Napa towards Paralimni town has cycle paths in both directions up to the edge of town when they become a little congested with the roadway. The months from October through to May are the most popular times for cyclistswho make full use of the cycle paths in and around Ayia Napa. Trips to Paralimni to the big supermarkets are as popular as nature and scenery sightseeing.